The Stereo VideoMic's capsule feature a matched pair of 1/2" cardioid condenser capsules, mounted in a coincident X/Y position for accurate stereo imagery and detail. 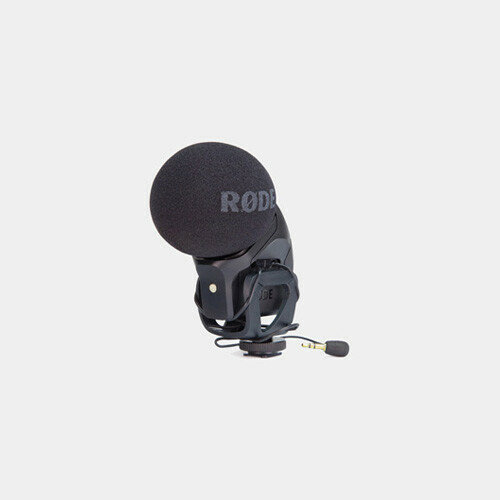 The microphone's small, ergonomic footprint features an integrated shock mounting system for superior isolation from vibration and mechanical noise. The multi-strand output cable is terminated with a 1/8" (3.5mm) output connector and delivers significantly lower noise transference than traditional audio cable.